If you like the flavor or sweet pepper jalapeño jam but don’t like too much heat then this specialty jam is for you! With a perfect blend of sweet green peppers, red bell peppers and jalapeños, the flavor of this all-natural jam is never overpowered by its kick! Sweet pepper jalapeño jam is excellent when used as a condiment for cold meat sandwiches and hot dogs. Spice up your barbeque and brush sweet pepper jalapeño jam on chicken breast, pork or any wild game. Easy and delicious appetizer when put over cream cheese and served with crackers. Perfect for any party or special occasion! If you like sweet peppers but also enjoy the heat from jalapeño peppers then you will love our Sweet Pepper Jalapeño Jam. The combination of sweet, with some heat, is what makes our sweet pepper jalapeño jam such a hit. Personally, I like it because the heat from our jam is not too overpowering; I have tasted other brands and have found that the kick from the jalapeño, takes away from the flavor. When all you have is heat, you miss out on all of the other flavors in the jam. Typically, people enjoy Sweet Pepper Jalapeño Jam when it is served as an appetizer. They pour it over a block of cream cheese and serve it with soda crackers. It is an easy and tasty option when it is your turn to bring the appetizer to the party or special occasion. On the otherhand, my family enjoys eating Sweet Pepper Jalapeño Jam on hamburgers, hot dogs or sometimes on a turkey sandwich; my daughter’s husband even has it over his italian sausages! I guess that if you are someone that likes the taste of peppers, no matter whether they are sweet or hot, then you will really like the flavor of this jam. Our Sweet Pepper Jalapeño Jam is all-natural and is made with Sweet Bell Peppers (water and citric acid), sugar, Jalapeños and Citrus Pectin. It comes in 9 oz. glass jars; it contains NO preservatives. Refrigerate after opening. 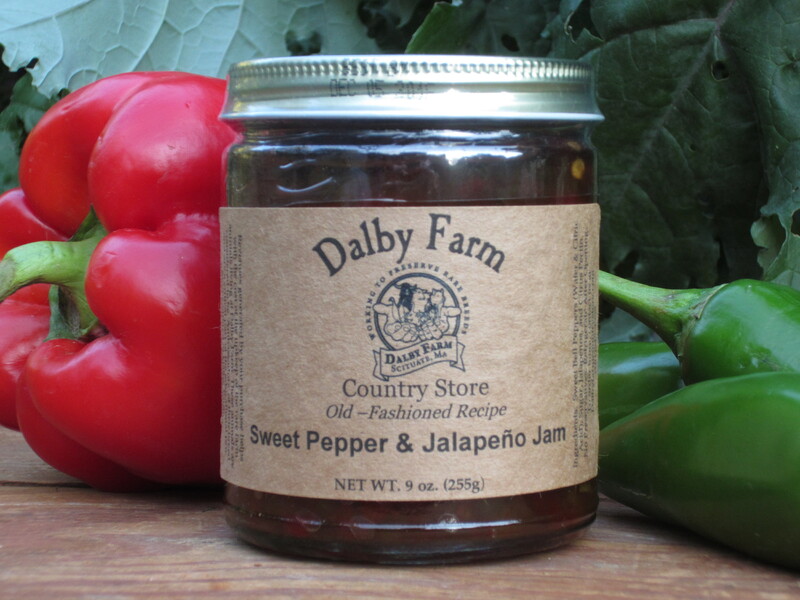 Go to the Recipe Page for more delicious recipe ideas using our Sweet Pepper Jalapeño Jam.